The month of May brought several blessings to celebrate. 1. I graduated with my Master’s in Publishing and Writing from Emerson College! 2. I accepted a job offer with America’s Test Kitchen! I’ll be their new Email Marketing Specialist. I start on June 8th, and I can’t wait to return! 3. 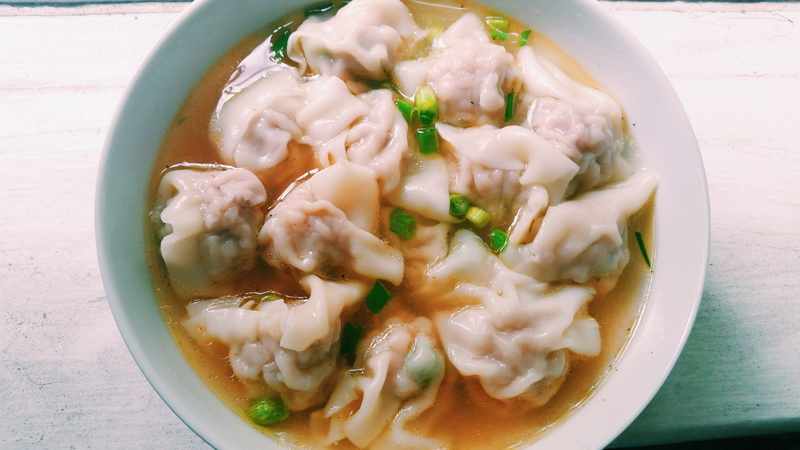 On the last day of May, I made wontons. 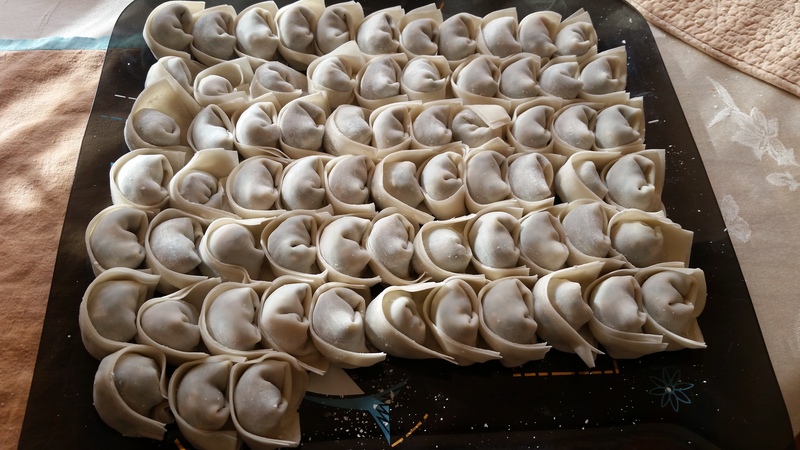 Do you remember my post on Lessons in Chinese Cooking? Well, I finally got around to making wontons, and they came out exceptionally well thanks to Mrs. Chang’s detailed instructions and infinite kitchen wisdom. 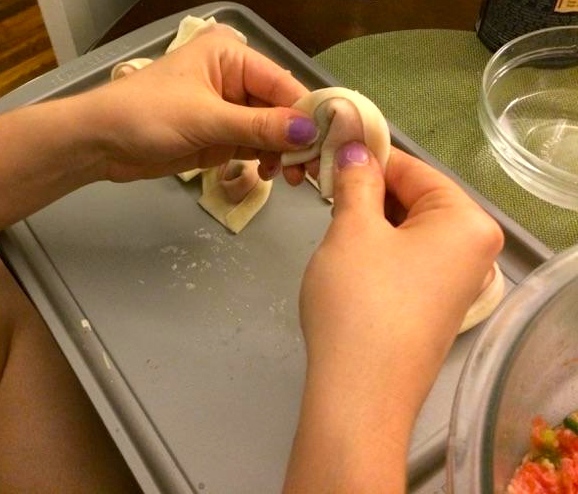 My boyfriend helped catch me in action and take step-by-step photos for how to fold wontons. 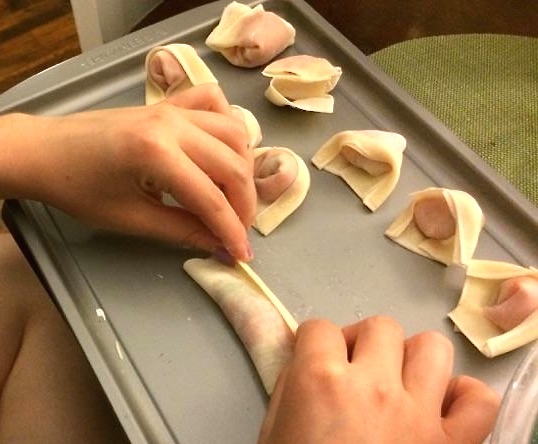 I shall now impart my wisdom unto you so that you can make the most glorious wontons at home. 1. Take your ground pork and put it in a medium-large mixing bowl. 5. Take your hands (or chopsticks or a fork) and mix the filling together, making sure all ingredients are evenly incorporated. Wash your hands and set aside. 1. 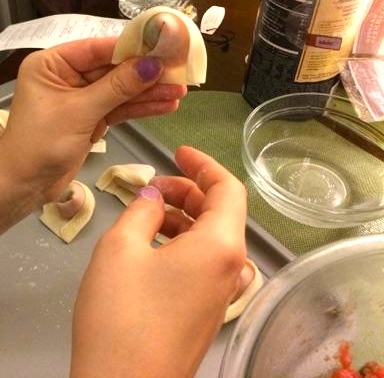 Add a small amount of filling to the middle of the wonton wrapper. Fill a small dish with water and set that beside you. Dip your finger into the water and wet the top edge of the wonton wrapper. 2. Fold the bottom edge of the wrapper up to meet the wet top edge. Press down to create a seal. 3. Take the now sealed top edge and make a small fold towards you. The fold should hit the top of the meat filling. this ensures a tight seal. 4. 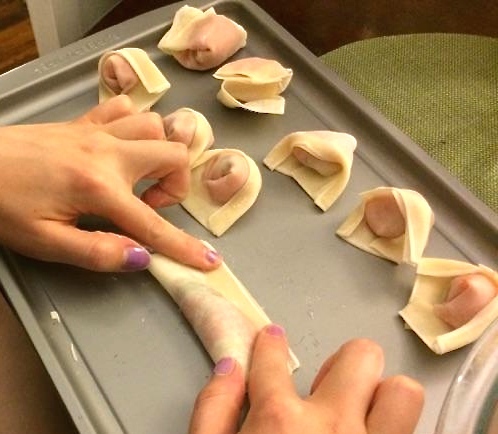 Now, grab the left and right side of the wonton wrapper and fold it down so that the two ends meet in the middle. The motion is curved so that by the time your two hands meet, your hands have moved in a half circle meeting at the bottom-most point. Does that make sense? 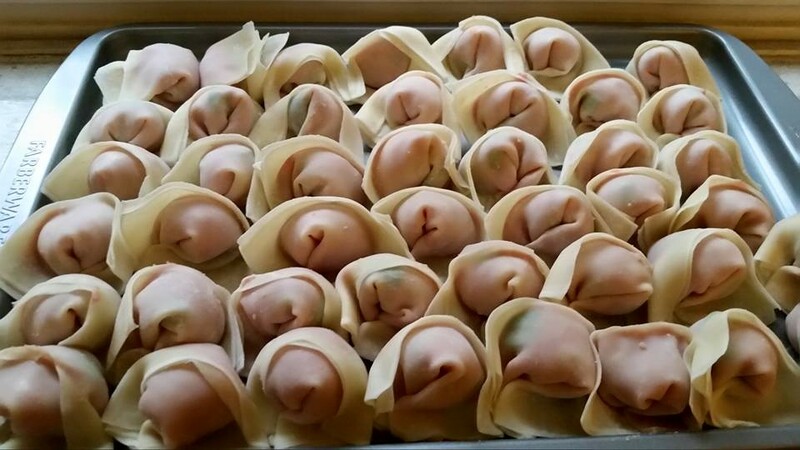 In other words, the wonton should look like your typical tortellini. 5. 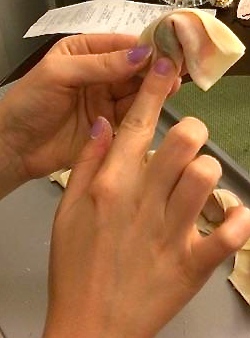 To create the seal, dip your finger into the water bowl and wet the bottom left inner edge of the wonton. 6. Finally, take the right side and bring it over to the left, creating a seal with the wet left edge. The two ends will not completely overlap, just those inner edges. Don’t worry if it takes a few tries to get the perfect fold. As long as you have a good seal, your filling won’t come out! 1. Bring a large pot filled with water to a boil. 2. Put as many wontons as you would like into the pot to cook. You can refrigerate the wontons for a day or so, or you can freeze them to use again later. 3. Once the wontons begin to float, let them cook for another minute or so. If there are many wontons crowded into the pot, add an additional minute just to be sure. Then they are ready to eat! You can simply take a slotted spoon and place the wontons on a plate. 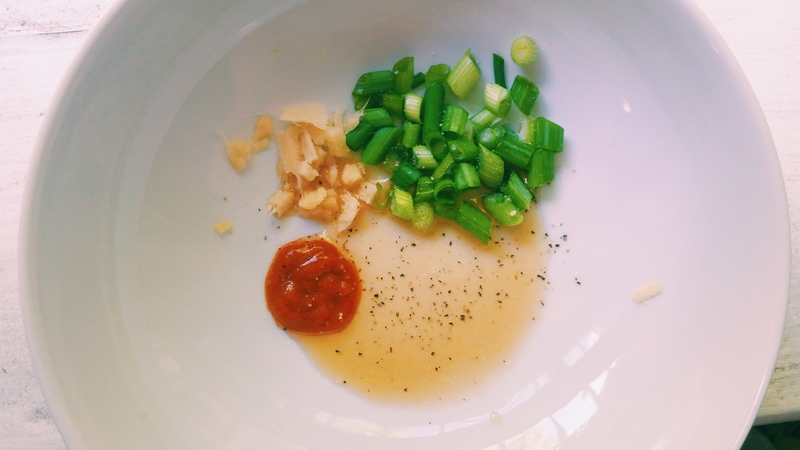 Have some soy sauce, sriracha, and sesame oil on the ready for dipping sauces. OR…and this is my favorite…make the easiest wonton soup ever. 1. As the wontons are boiling, grab a clean soup bowl and add your seasonings and fixings. I usually like to chop up one fresh scallion, mince a small amount of fresh ginger, 1/4 to 1/2 teaspoon of sesame oil, 1/2 teaspoon of sriracha, and a little salt and pepper. You can add almost anything that makes sense. Mrs. Chang had special pickled radishes you can find in an asian foods market, and she also had these little baby shrimps you can find in the asian foods market. This is your chance to get creative! 2. 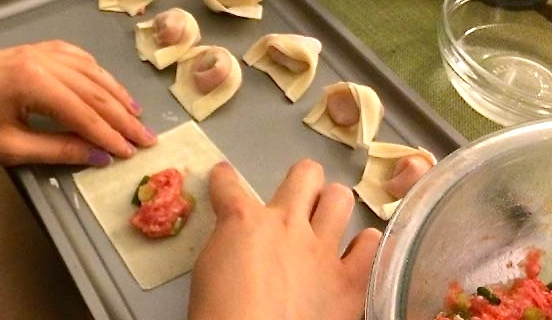 When the wontons are done, take a slotted spoon and add your wontons. Then, take a ladle and add some of the wonton water into the bowl. Mix it all around, and there you have it! Those seasonings will flavor that water so that it doesn’t just taste like boiled water, trust me. Have fun with this! Please comment with any questions, concerns, or success stories. Have a wonderful week! We brainstormed for awhile. 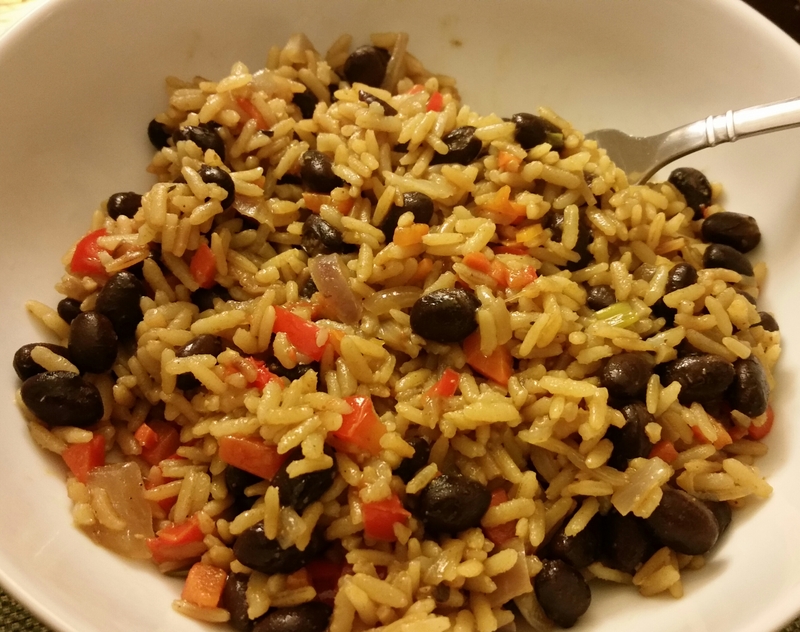 After a few hours of vigorous web-surfing, we found a recipe that looked manageable and delicious: black beans and rice. 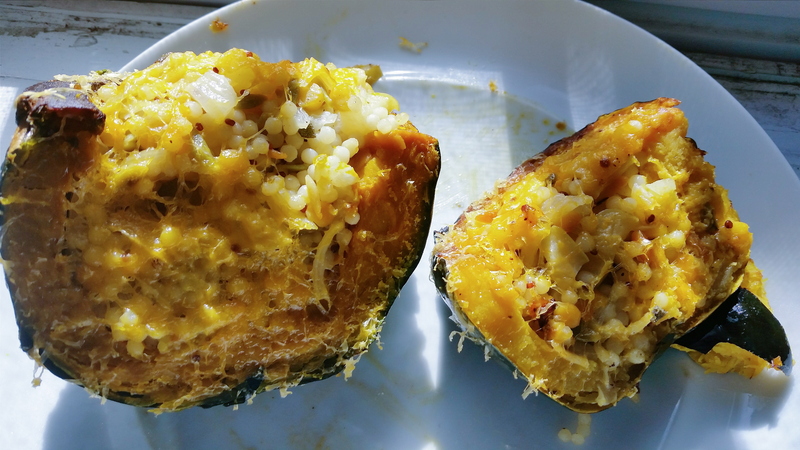 Beans and rice are two essential ingredients in Spanish and Latin American cooking, and though I worried about being too “cliché,” I realized there was validity in trying to perfect such an authentic, traditional dish. My Mom and I made the recipe together, and it came out better than expected. We were tempted to eat the whole pot of rice after our first spoonful, but I had a class to feed, alas. 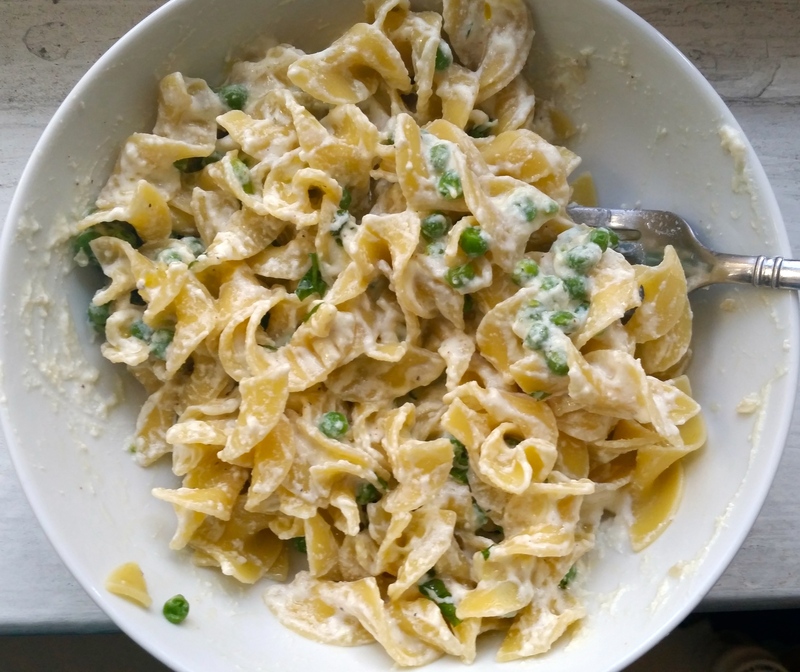 Over the years, my family has tweaked the recipe and we’ve made it our own. 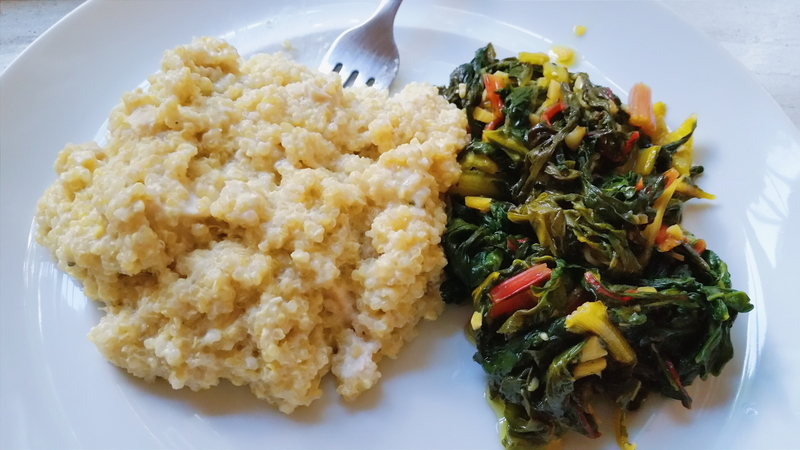 On a day when I want to eat something filling yet healthy, this is an easy dish towards which to turn. 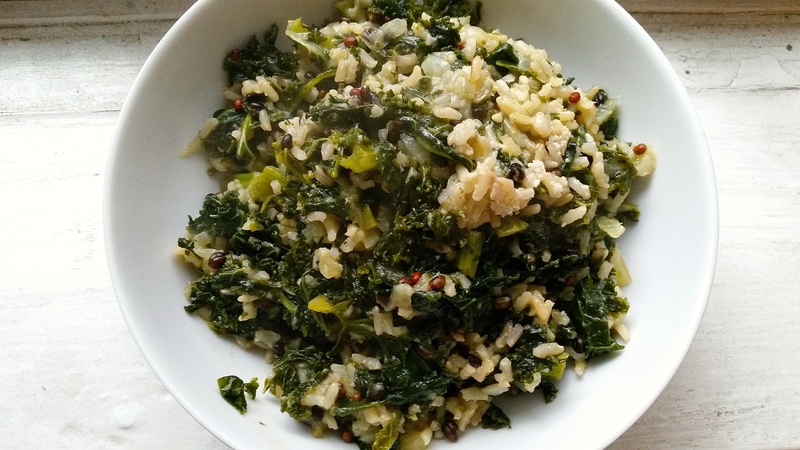 I am going to provide the written recipe for you all, though I will note that in the batch I pictured, I used brown rice and carrots instead of celery. Note: Measurements for seasonings are approximate. Add more or less of each to your taste. 1. Heat olive oil in a skillet and add the chopped onion, pepper, and celery (or any other vegetable you decide to add) and sauté for about 5 minutes. 2. Add the uncooked rice and continue sautéing for 2-3 minutes until the veg softens and the rice toasts. 3. Add the chicken broth, cumin, curry, oregano, salt, and chili powder. Note: In my most recent batch I added some smoked paprika (highly recommended). 4. Mix well. Cover the pan and let simmer on low for 15 minutes or until the liquid absorbs. Test the rice at this point. If your rice still needs too cook, just add a little more chicken broth and let that cook down. 5. Once the liquid absorbs and the rice is cooked to your liking, add the black beans once you have drained them and given them a rinse under cold water. Mix until the beans are incorporated into the rice. 6. Heat the mixture through until steaming.